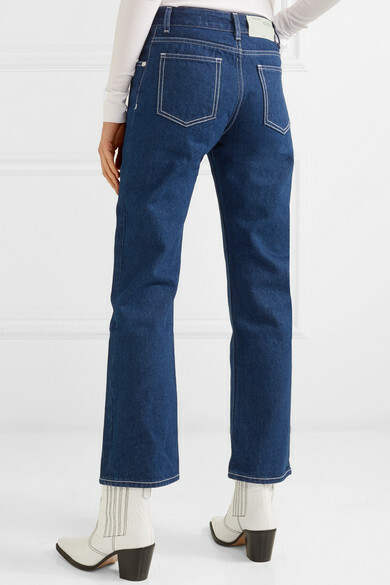 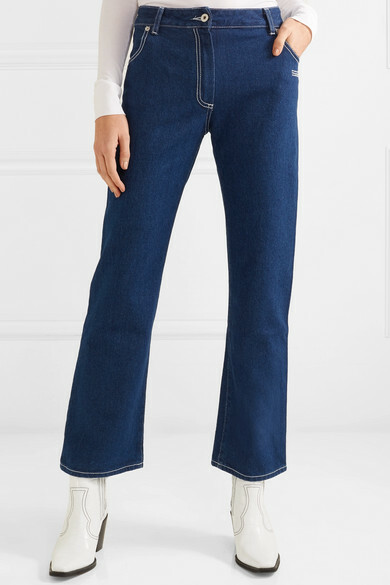 Made in Italy from sturdy denim, Off-White's jeans are cut in a '00s-inspired bootcut shape that hits just above the ankle. 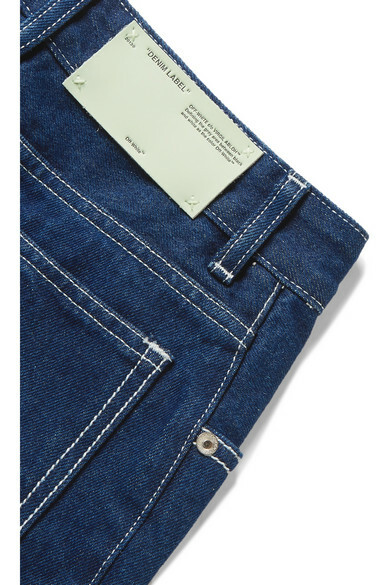 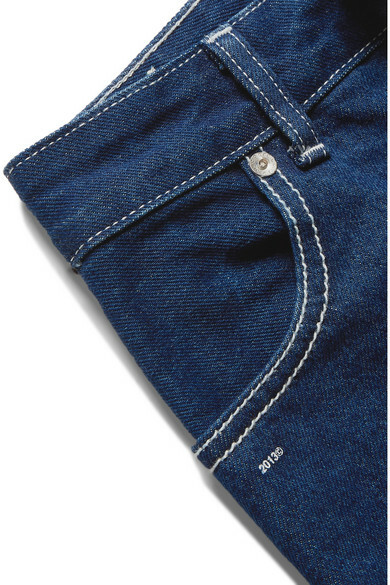 They're minimally decorated with the label's lettering and ‘DENIM’ printed on one leg. 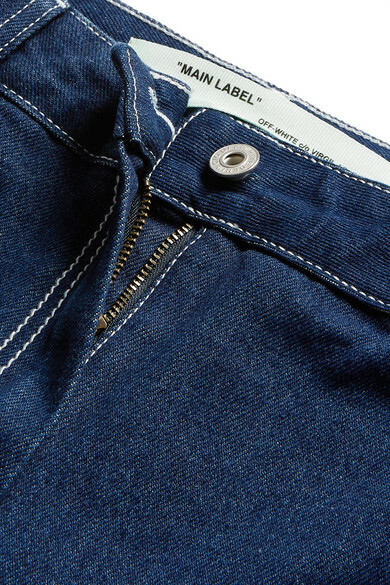 Match the contrast stitching to your boots. 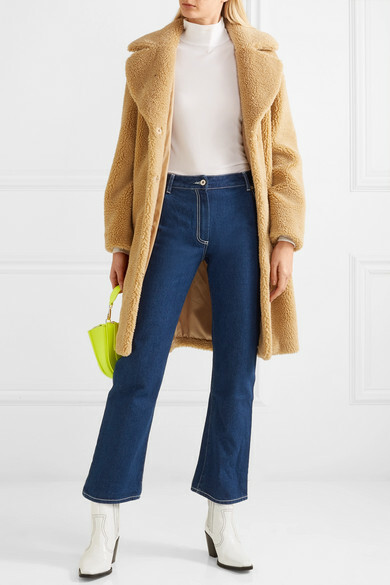 Shown here with: Theory Top, STAND Coat, Wandler Shoulder bag, GANNI Ankle boots.